best online software for windows and linux, mobile phones, microsoft, Android and windows phones, computer applications and downloads, music and video apps. Google books is one of the best website on all over the internet to read thousands of useful books. Though there are many e-books you cannot download Google books to your computer. 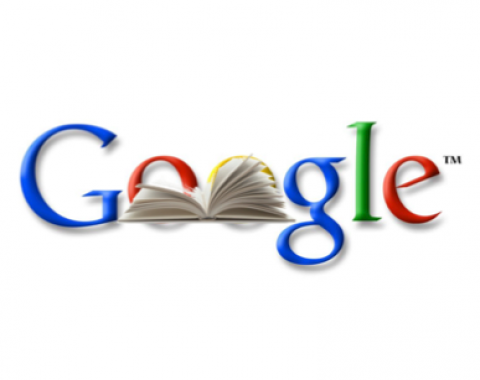 If you are thinking how to download Google books as PDF then i have s solution for you. In-fact you can download all those valuable Google books for free directly onto your Windows XP/7/8/8.1 or whatever OS platformed computer you have. Note : There are both paid books and free books are available in the Google play store and you can download only the free books because you have to spend few bucks to get those paid books. There are millions of E-Books available on the Google books with several different categories such as Science, Sci-fi, Novel, General, Health etc. All these books can be downloaded by just using a free downloader. Don’t Miss : Top websites to download free PDF books online. 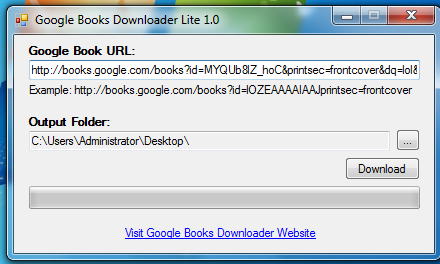 You have to download the Google Book Downloader from the website i’m linking here : Download it. Once you have completed the installation run the software either in normal mode or in admin mode. Now open your favorite browser and search for the book you needed from the Google Books website and copy the URL of the link from the browser. Paste the link on the “Google Book URL” empty box inside the software. Choose the desired output format, If you want to download the book in PDF then select PDF. Select the destination folder and click on the download button. Once you click on the download button your Google Book will be downloaded from the Google Books website in the form of PDF onto your computer. Also Read : How to Edit PDF Files Online. That’s it, this is a simple way of downloading the E-books online using the Google Book Downloader and if you face any problem downloading books from the website you can leave us a comment here. 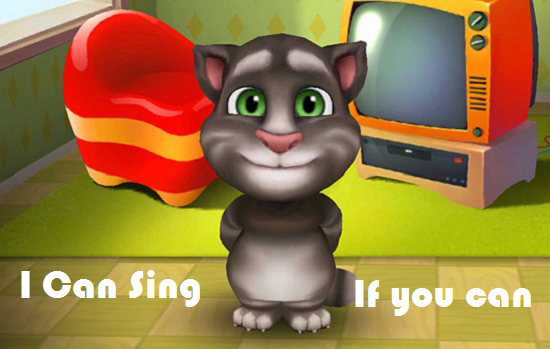 Talking tom is a familiar Android app which has a small talking cat Tom that will repeat what ever you speak in a cute voice. If you wish to download the talking tom to your android application for your windows PC then it’s very simple. In this article let me show you how to install the talking cat tom for Windows XP, 7, 8, 8.1 computer. Note : If you are using it on your personal desktop computers then you will need a Microphone to communicate with the talking tom. Installing talking tom on PC will only take a few minute but before that you need a simple application called Bluestack to simulate android apps to your computer. Download the Bluestack application from this link : Download Bluestack. There are other few application that can simulate the Android apps but i personally feel Bluestack is the best of all. After downloading the application from the given link just install the app and open it. Search for the “Talking tom” application from the search bar that appears blue in color. You can do it by typing “Talking tom” and click find. Select the version you need and there are many version of talking tom available on the play store such as Talking tom 1, 2 , Tom loves Angela. Click on the Install button and wait for few seconds so that the application will be downloaded from the play store. The application has been successfully downloaded to your computer. If you are using the application for the first time then you may need to sign in to the application using any one of your valid Google email address. You can view the downloaded “Talking tom” app on Bluestack software under “My Apps” tab.To uninstall the application you can hold on the app for a second and click on the cross button to uninstall talking tom cat from your PC. This entry was posted in Android, softwares on Feb 3, 2014 by Rajesh.